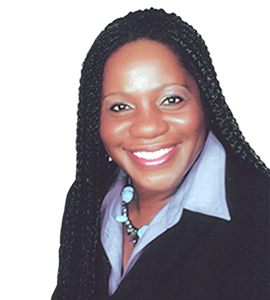 Clover Barnett is the Chief Strategist and an Educator who has had vast experiences in the field of Technical Vocational Education and Training (TVET). She was most recently at the HEART Trust/National Training Agency of Jamaica as the Chief Technical Director where she spent over 17 years contributing to the formulation and implementation of general management policies and procedures which guided the technical systems and processes for the organization. Through her vision and passion, this respected and inspiring leader while at the HEART Trust/NTA, was also instrumental in the establishment of a system for the design and development of a vast pool of competency-based instructional materials and learning resources which are used in education and training institutions in Jamaica and the wider Caribbean region. An Instructional Systems Designer and an expert in competency-based instructional design, methodology and delivery, Miss Barnett holds to her credit, a Master of Arts in Education from Brunel University, London, England, a Bachelor of Arts Degree (Hons.) from the University of the West Indies, and a Teachers’ Diploma from Moneague Teachers’ College. Her professional qualifications include an advanced Certificate in Systematic Curriculum and Instructional Development from Ohio State University, an advanced Diploma in Competency Based Curriculum Design from ILO- International Training Centre, Turin, Italy and she has gained international recognition as a DACUM (Develop-A-Curriculum) Facilitator from Holland College, Canada. She has represented the region at several international conferences, delivered presentations and conducted workshops on the Regional Qualifications Framework, institutional development, quality assurance in TVET, training, assessment and certification and building capacity towards a competitive and productive regional workforce. She has worked on several Regional Technical and Vocational Education and Training (TVET) projects for Ministries of Education and National Training Agencies and has conducted several CBET curriculum and instructional design workshops across the Region. Miss Barnett is an author in her own right and has published a number of books, instructional materials, learning resources and articles.